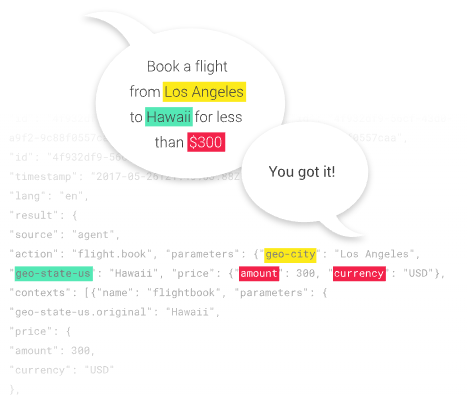 Google today announced the beta launch of its enterprise edition of Dialogflow, its tool for building chatbots and other conversational applications. In addition, Dialogflow (both in its free and enterprise version) is now getting built-in support for speech recognition, something that developers previously had to source through the Google Cloud Speech API or similar services. Unsurprisingly, this also speeds things up (by up to 30 percent, Google tells me), because apps only have to make a single API call. 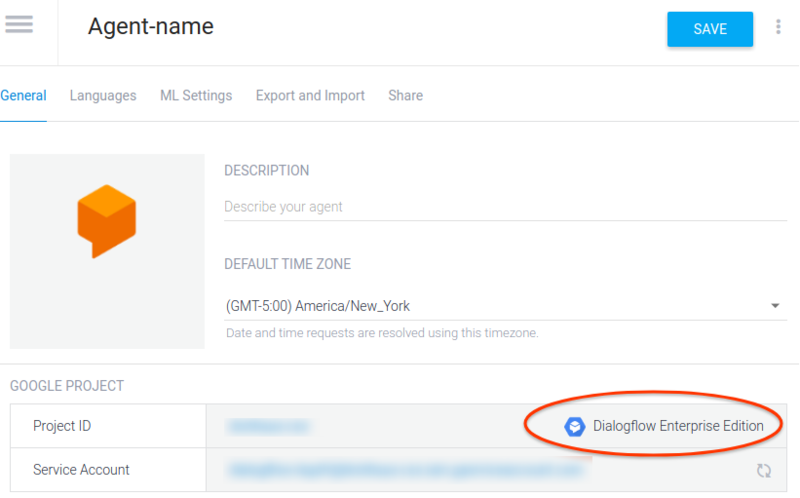 Dialogflow now also features a number of basic analytics and monitoring capabilities, courtesy of Google’s Chatbase service. You may still remember Dialogflow as API.AI, which was its name when Google acquired it last year, but the company has since renamed it. The main idea behind API.AI/Dialogflow was always to give companies the building blocks they need to build their conversational agents and other text- and voice-driven interactions and to make them easy to use. To gain users quickly, the service was always available for free (with some rate restrictions), but that’s not what big enterprises want. They are happy to pay a fee in return for getting 24/7 support, SLAs and enterprise-level terms of service that promise data protection, among other things. With the Dialogflow Enterprise Edition, they can now get all of this. 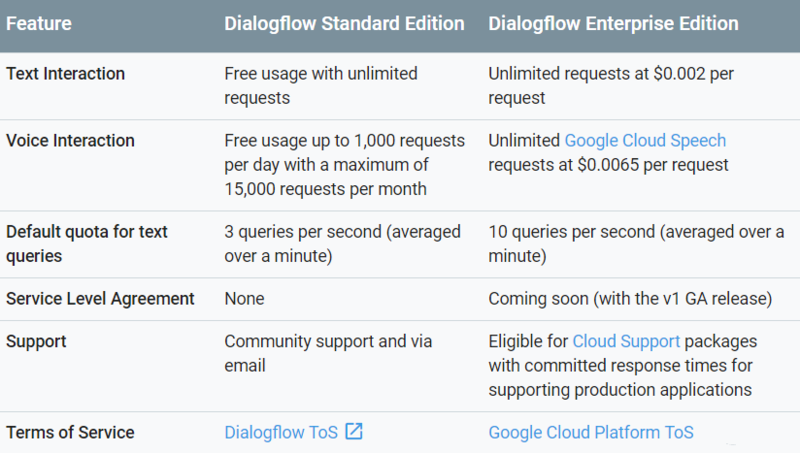 Dan Aharon, Google’s product manager for Google Cloud AI, also noted that this version of Dialogflow is now part of Google Cloud. That may sound like a minor thing, but it means that enterprises that want to adopt it can do so under the same terms they already have in place for Google Cloud. “Say you are Spotify, you can now add Dialogflow pretty easily because it already answers all of the requirements of being a Google Cloud product,” he told me. This also means that users who want to sign up for the enterprise edition have to do so through the Google Cloud Platform Console. Google is charging enterprises $0.002 per text interaction request and $0.0065 per voice interaction request. Aharon also stressed that the free version of Dialogflow isn’t going anywhere. Indeed, free users will also get access to the new speech recognition integration, though with a limit of 1,000 interactions per day (or 15,000 per month). Both versions also continue to offer support for 14 languages and integrations with virtually any major chat and voice assistant platform, including from Google competitors like Microsoft and Amazon. When Google acquired API.AI, it was already one of the most popular tools for building chatbots and Google argues that this momentum has only continued. Google PR told Aharon not to say that it’s the most popular tool of its kind on the market, but chances are it actually is. He told me that the service now has now signed up “hundreds of thousands” of developers — and definitely far more than the 150,000 developers number the company shared at its Cloud Next event earlier this year. “What we hear from customers time and time again is that the quality of the natural language understanding is head and shoulders above anything they have tried,” he said. “You don’t want to deploy something in production if it’s not very, very good” (though some companies obviously do…). Beside the natural language understanding, though, it’s also Dialogflow’s flexibility that allows developers to go beyond basic decision trees and features like a deep integration with Cloud Functions for writing basic serverless scripts right in its interface that set Dialogflow apart from some of its competitors. Dialogflow also makes it easy to connect to other applications — no matter where they are hosted. That’s something you need if you want to integrate your conversational app with your ordering and shipping systems, for example. Aharon tells me that it took about a year to port all of the API.AI features to the Google Cloud. Now that this is done, the service’s users can profit from all of Google’s investments in AI and machine learning. And given that Google is doing its best to attract more enterprises to its platform, it doesn’t come as a surprise that Dialogflow is joining this parade now, too.